While there will be no usual golf game from EA Sports this year – as they transition away from Tiger Woods and attempt to launch in strong fashion on the new systems in 2015 – the new generation won’t be going without golf after all. HB Studios, who has partnered with Electronic Arts in the past, most recently developed Rugby World Cup 2011 and the infamous NBA Baller Beats. They have also contributed to games like Madden and FIFA on the Wii and other EA Sports tiles that made their way onto secondary platforms including PS2, PC, and PSP. 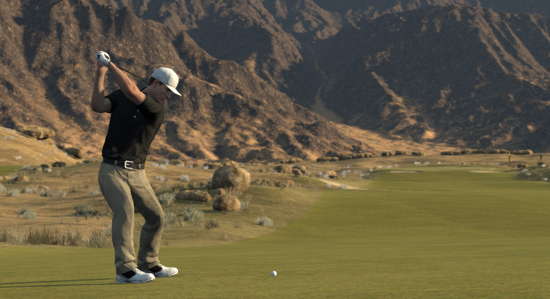 Their latest effort is The Golf Club which will release on Xbox One, PlayStation 4, and PC this spring. Being described as a simulation the game will include a course creator with final designs able to be shared and used in online matches. Tournaments and Tours can be customized and shared as well. Also touted is practically zero load time between holes, challenges vs friends, and social media integration. Check out some early videos highlighting gameplay and the Course Creator.